We know you have a lot of storage options, but what makes Forney Storage the best storage facility in Forney and the surrounding area? Not only are we the newest and coolest facility around, but it is our commitment to providing the best customer experience that gives us an edge over our competition. We promise not to be offended if you tell us you’d rather be mowing your relative’s lawn in the heat of summer than having to deal with your storage unit, but our commitment to you is to make your experience as painless and hassle-free as possible. Don’t like dealing with people? Well we think you’re missing out because our management team is AWESOME but that’s cool, our fully integrated management system allows you to do everything online from reserving your perfect unit and completing your lease application, to gaining access to your unit and making online payments. Don’t like having to remember access codes? Life today requires remembering too many passwords and codes. Upgrade to our mobile entry system and you can open the entry gate and access your climate control building through your smart phone. Ready to start packing? We offer a range of packing supplies and accessories for sale to make your move as stress free as possible. Speakers throughout the storage buildings because who doesn’t enjoy listening to songs about storage? Forney Storage is outfitted with climate controlled storage to protect the items within your unit from extreme temperatures and humidity. Climate controlled units work as a heater, an air conditioner, a humidifier and a dehumidifier all in one. By keeping your items in a controlled temperature environment, Forney Storage helps you to preserve these items and keep them from damage from various problems that can be posed by different climate changes. This climate control is particularly important in preserving stored wooden furniture, leather furniture, paper and other documents, books, musical instruments and artwork. 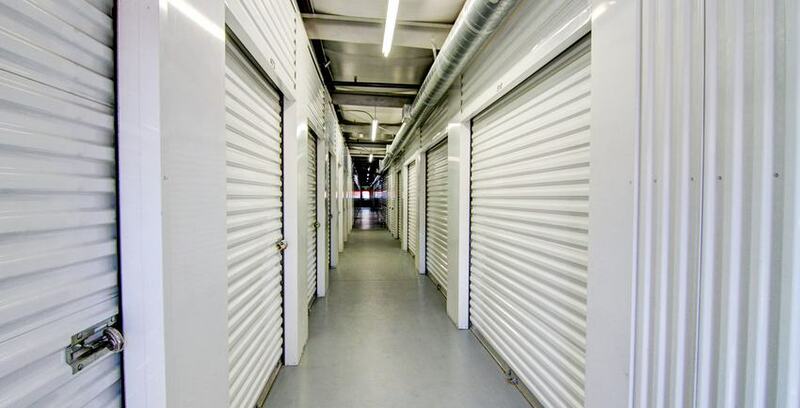 With unparalleled customer service and a devotion to help you get the best out of your storage experience, Forney Storage is the best place for you to rent storage in Forney, Texas. We look forward to helping you find the right storage solution for you and your items.